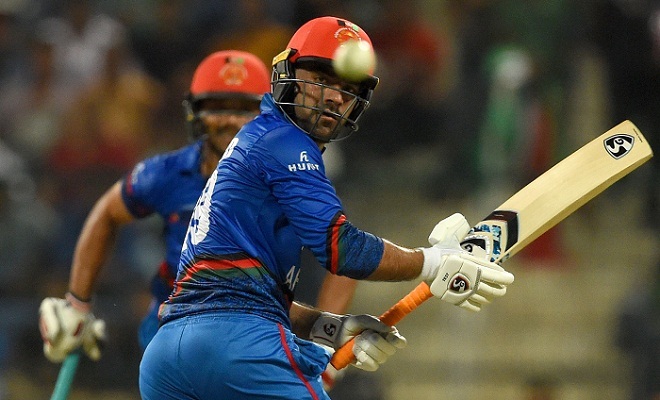 Afghanistan scored 255 for seven against Bangladesh in their last group match of Asia Cup 2018 at Sheikh Zayed Stadium in Abu Dhabi on Thursday. Rashid Khan and Hashmatullah Shahidi smashed 50s after Afghanistan won the toss and elected to bat first. Bangladesh: L Das, M Haque, S Al Hasan, M Mithun, Mahmudullah, Mosaddek Hossain, M Hasan, M Mortaza, R Hossain, NH Shanto, Abu Hider. Bangladesh made three changes and Afghanistan one. Abu Hider and Nazmul Hossain Shanto debut for Bangladesh. Both teams have qualified for Super Four round after defeating Sri Lanka.